This is my first toast recipe. 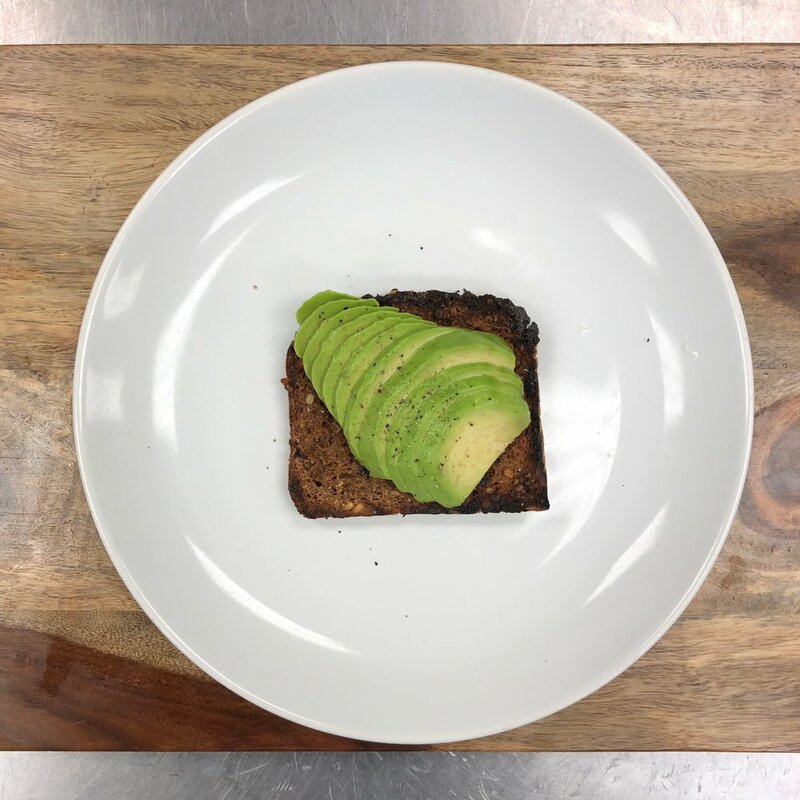 I call it the Greek Avocado Toast, its super easy to make but packed with lots of flavor. You want to get your bread really crispy for this recipe. So throw it on the grill or broil it until it gets super crispy and slightly charred on the sides. Thinly slice half an avocado and then squeeze a lemon on top. Salt and pepper the avocado, and you're done. You just finished the avocado toast part of this recipe. In this step, you're more or less making a mini Greek Salad. However you don't want to add any lettuce. I added cherry tomatoes, diced cucumbers, sliced red onions, sliced green peppers, fresh oregano, dried oregano, chopped Kalamata olives and feta cheese. Toss the salad with some olive oil, lemon juice, salt and pepper. Don't add too much salt because the olives and feta have a lot of salt already. Add some of the salad on top of the avocado toast. Garnish with some black pepper and olive oil and enjoy.